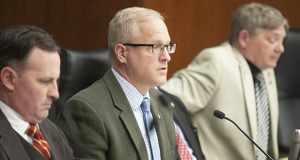 Kevin Featherly, who joined BridgeTower Media in mid-2016, is a journalist and former freelance writer who has covered politics, law, business, technology and popular culture for publications and websites in the Twin Cities and nationally since the mid-1990s. 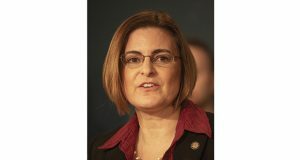 Sen. Julie Rosen, R-Vernon Center, the Senate Finance Committee’s powerful chair, added a bit of extra money to the omnibus finance bill’s otherwise ironclad $25 million bottom line for new spending in the public safety/judiciary budget division. 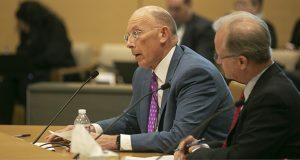 Before the concept popped up in a 2015 state Supreme Court ruling, few thought that a city’s denial of a public-contract bid protest was a quasi-judicial decision. 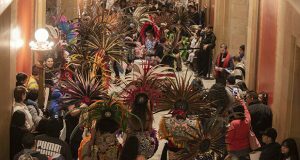 Kalpulli Ketzal Coatlicue, an Aztec dance group from Minneapolis, came to the Capitol in colorful costumes and accompanied by ear-splitting percussion April 5. 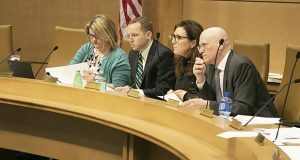 They turned out in support of the DFL-backed House File 1500, the “Driver’s License for All” bill, which passed the House 74-52. 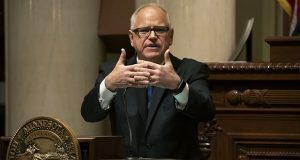 The Senate Judiciary committee on April 9 approved a $2.38 billion omnibus finance bill, even after its author expressed frustration that parts of it fall short and even violate the state Constitution. 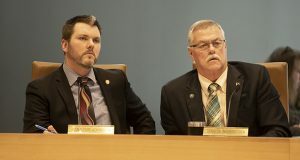 Were it not for the late addition of two gun bills in the House Public Safety committee’s omnibus finance package, several GOP members said late on April 4, House File 2792 might have gotten bipartisan support. 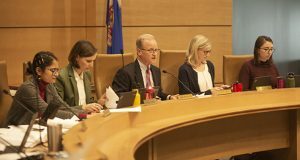 Our weekly summary of Minnesota legislation of interest to the legal community. 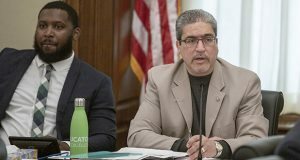 Poring over the 84 bills packed into its 223 pages, members of the House Public Safety and Criminal Justice Reform Committee on April 2 got their first glimpse of a $1.5 billion omnibus finance bill. 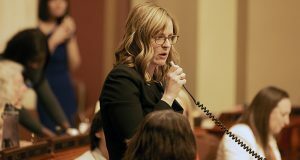 A bill that would dedicate $3 million to startup Minnesota treatment courts could get stirred into the Judiciary finance omnibus bill that is slated to go through markups April 9.